Creating a pitch-worthy press release may sound like an oxymoron to reporters but it can be done. There’s little doubt you’ve seen your fair share of vague, poorly written and poorly proofed press releases. The headlines are five lines long. Sentences go on forever. Quotes are stacked. Errant (or missing) commas and misused semicolons abound. We’ve all seen them. But by using sound news judgment, thinking like a journalist and writing in simple, declarative sentences, PR practitioners can create press releases that are newsworthy, attract media attention and even be shared across social media channels. Here’s a guide on how to write better press releases more likely to be shared, picked up, written through into a news story and generate coverage. The most glaring problems with many press releases are twofold: 1) They’re written in “corporatese” and, more often than not, replete with hyperbolic, breathless buzzwords such as “disruptive,” “groundbreaking” and “game-changing.” 2) They’re devoid of context, with a solipsistic emphasis on the client. Don’t do these things. There are more things in the world than just your client yet from reading many press releases the poor reader may conclude that’s not the case. While, for instance, you likely won’t want to mention direct competitors to your client in the press release, providing some context, history and a broader sense of why the news in this news release is just that – news – is key. 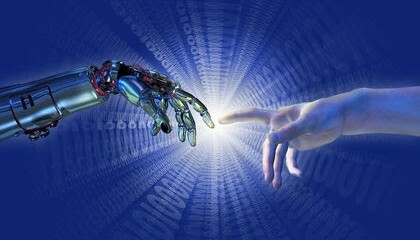 Nothing exists in a vacuum unless you’re in outer space. Also, third-party validation (such as relevant market research firms) and a solid customer reference or example are key in providing independent confirmation and context that support the claims you’re making in your press release. Reporters and editors respond much better to validated claims. Having these items in your press release only further strengthen it. 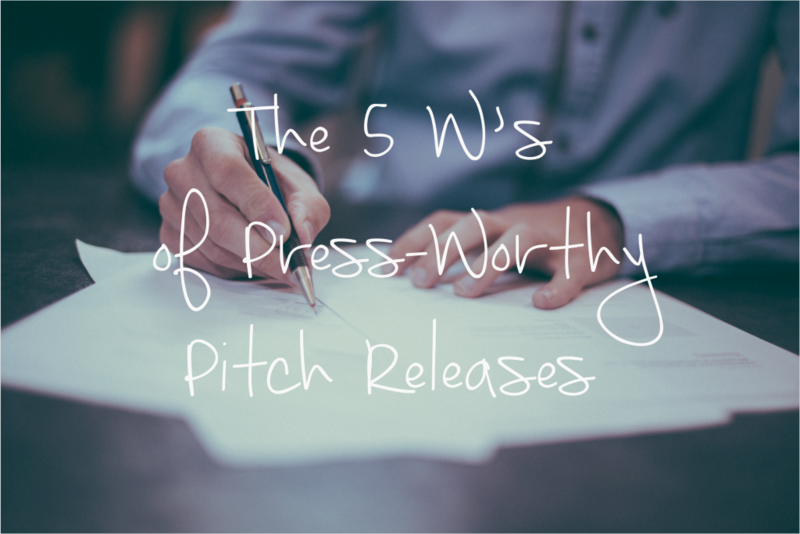 One of the best ways to create strong press releases is to rely on one of the fundamental tenets of journalism: the Five W’s. Start by answering them yourself after you’ve gathered as many of the details of your news as you can. Who. Who is making the announcement? What. What is being announced? Where. Where is this happening? Is this being announced at a major trade show, for example? When. Press releases typically go out the same day as the announcement, so writing, “Fabulous Widgeteer today announced…” will usually suffice. Why. Why is this happening or did this happen? This is where we write about context, the industry landscape and where we must vigorously address the critical question of why should the reader care? This last bullet point is key. It’s the most fundamental question we should ask ourselves (and our clients): Why should a reader care about this? While we’re at it, let’s also be honest. Not all announcements are created equal; some are more inherently interesting than others. At the same time, keep asking yourself the “why” question until you can find – no matter how small – that one thing answering the “why” question. Once you gathered all the facts (through a creative brief, your own interviews of the relevant parties at your client and your own research), it’s time to start writing. In addition to the points already made, buy a copy of the AP Stylebook (full title “The Associated Press Stylebook and Briefing on Media Law”) or perhaps your agency has an online subscription. While it may seem quaint in our always-on, always-connected digital world and not needed in the Twitterverse, AP style is still the gold standard in news writing and press releases. And reporters notice (not just those over the age of 45 or old enough to have actually used typewriters and fax machines). Is your client headquartered in a city that stands alone in datelines? Do I write 7 or seven? Are executive titles capitalized? The answers to these questions and many more are in the AP Stylebook. Newspapers and wire services such as AP, Bloomberg, Reuters, The New York Times, the Los Angeles Times and The Washington Post all use either the AP Stylebook or their own (which are based on the AP Stylebook, anyway). Also, buy a good dictionary and thesaurus. It may seem old school, but having actual hard copies of these books comes in handy because you can see the related words that are proximal to the ones you’re looking up; it’s also easier to skip around than repeatedly tapping words into a search box. If you’re tempted to use a word whose definition you aren’t 100 percent certain of, look it up. To wit, “irregardless.” Actual word or not-word? Similarly, with a thesaurus handy, when the urge strikes to use a “lazy” word such as revolutionary, you can swat it down. In place of revolutionary, for example, you could perhaps instead write unprecedented. In crafting a press release that’s newsworthy and shareable, the goal is to write crisply and cleanly. If your sentences are longer than 30 words each, it’s time to start looking for some periods. Edit the sentences down or break them in two with either a period or a semicolon. To avoid buzzwords, try doing an Internet search for “worst business buzzwords” and excise your copy of any offenders. Reach for that thesaurus and find another word. To snare stronger media interest, keep headlines to a maximum of two lines; subheads should be no more than four lines; and keep the first paragraph of your press release to three sentences (each of which is no more than 30 words). Large, imposing blocks of text can be off-putting or even intimidating to people, even reporters, who often write lots and lots of words every day. Imagine which looks less “challenging” to read in your own mind’s eye: Boulder-sized clumps of sentences or chirpy-looking, crisp paragraphs populated by medium-length arrangements of words. There is, of course, no shortage of resources online for writing press releases. Many of these are more than adequate. But to craft a press release that’s a cut above requires an eye for detail, an exacting self-editing function and a commitment to the basics. It also requires a good deal of practice. By following these guidelines, you can be well on your way to writing press releases that are shareable, newsworthy and gracefully written. Duncan is Bhava's Editorial Director. He writes, edits, co-leads media training and helps clients tell their stories compellingly. As a technology correspondent for Reuters and Bloomberg for 12 years, he covered high profile companies such as Apple, Cisco, Intel, Oracle, Salesforce and many others.